Home is where the heart is! Reduce moisture and get rid of odor and allergens to provide your home an absolute safe place for you and your loved ones. Having a clean and comfortable environment everyday has a huge impact on long term well-being. XPOWER manufactures and designs high quality equipment tested in commercial and industrial environments to ensure safety and top results. 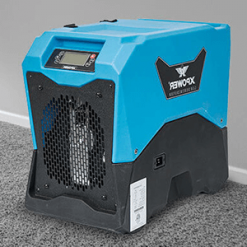 We provide a wide range of dryers, air movers, air purifiers, and pet dryers. XPOWER Air Purifiers bring industrial grade air cleaning to you at home. Thick HEPA grade and Activated Carbon filters with a high-capacity motor allow you to scrub the air clean in minutes or you can run the unit all day for the purest freshest air inside your home at all times! Retail air purifiers cannot compare, the difference is night and day! The XPOWER Scented Air Mover Series provides professional quality airflow and freshening scents. XPOWER offers a variety of relaxing aroma beads for you to choose. Every scented air mover you buy from Air Chaser will come with a sample pack of beads. Additional scents include Key Lime, Grapefruit, Fresh Breeze and Lavender Vanilla. Follow XPOWER aroma bead instructions for best results. Add XPOWER air blowers for water damage restoration or carpet cleaning jobs or use every day as a multipurpose fan in your basement or lobby. Remediate and restore water damage with XPOWER machines to save you a massive repair bill with complicated and expensive home insurance issues. Even better, keep your home dry and clean by using the machines after remediations. XPOWER Pet Dryers like all XPOWER machines are engineered to be the lightest, quietest and highest performing dryers on the market. All machines are injection molded for precise dimensions and all motors are balanced to the housing to ensure the quietest operation possible. Utilizing the newest technologies in our machines, such as brushless motors, ionizers and controlled heating, XPOWER dryers allow you to groom to new levels.